Samsung has announced a new range of LCD TVs based on LED backlighting, meaning better colours, brighter images and a greater contrast range. 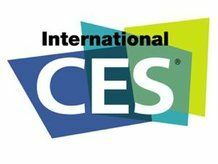 The three ranges unveiled at CES, the 6000, 7000 and 8000 series, present varying degrees of functionality, including 240Hz refresh rates and access to Yahoo's Widget Channel, and will be available from 40-55-inch screen sizes. The 6000 series is the most basic of the bunch, providing a TV tuner despite only being 1-inch thick. It includes four HDMI slots, a 120Hz refresh rate and includes access to Samsung's InfoLink RSS service, which can instantly display updated news, sports, weather and stocks information with a touch of the remote. The 8000 series has all the same features as the other two lines, but with a much more polished, prism-like and chrome frame, as well as the refresh rate du jour 240Hz, which Samsung says is 4x faster than standard LCD TVs. Don't forget this is the same Samsung that proclaimed to the world about how impressive its 200Hz TVs were at IFA in August. All three lines are due to be released in the coming months, though currently there's no information on price. However, expect the 8000 series to be a little on the expensive side given the amount of features stuffed in there.